Times of economic uncertainty require greater commitment from all members. It is no longer sufficient to empower into action if the collective efforts do not enable strategic direction. Harnessing the power of collective creativity. It will help answer what is possible the greatest question in the business world today: How can our talented employees gain collective-action to the business process to effectively execute strategic goals and objectives? Acting as One seeks to empower at all levels to equal partnership through shared responsibility and mutual accountability. Readers will find the appropriate framework to equip with all necessary strategic competencies and align to the overall strategic direction. Maria has captured the heart of leaders through her inquisitive and open mind. 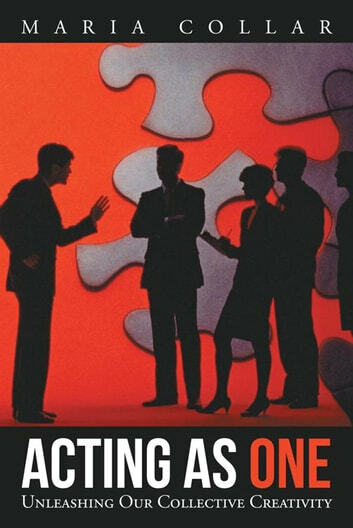 Acting as One is a tool for leaders and gift to any member of a team. Powerful, concise, a tour de force. Acting as One captures the type of culture that can catapult a company from average to extraordinary through its people and processes.